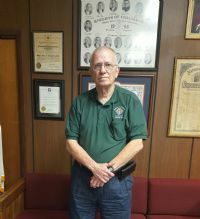 What else can be said about our Past State Deputy, Tom Zettler, other than that if you need something done by someone on whom you can rely, the first name that pops up is always Tom Zettler. If an activity is going on, then Tom is there. If you need someone to step in to cover for you on an event, its Tom. Once you have asked him to help, you can relax and know that it will get done, and done right. Congratulations to Brother Tom Welsh on being selected as our Co-Knight of the month for the month of December. Tom is very active in our Catholic Community. 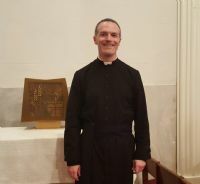 He leads the singing at Mass on Saturday and is also responsible for scheduling our Readers, Ushers, and Eucharistic Ministers, which in and of itself is a major undertaking. Again, congratulations to Brother Welsh for this recognition by his peers. Congratulations to our Knight of the Month, Darrell Hover, who never ceases to amaze me with his stamina for the Pro Life Movement. Darrell has dedicated his life to the Pro Life movement in our state/council. Thanks, Darrell for all you do in your quest to save infant lives. Congratulations go out to Brother Frank Washington on being chosen as our Knight of the Month for September. It is a well deserved honor. 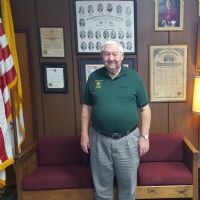 He helps out in the Kitchens at St. Patrick Family Life Center, the Knights of Columbus Hall on Bingo Night, and also at St. Joseph Church. If there is cooking to be done, you will see Brother Frank present and accounted for. He is also a volunteer once a month for Adoration in the St. Aloysius Chapel in the Parish Center. 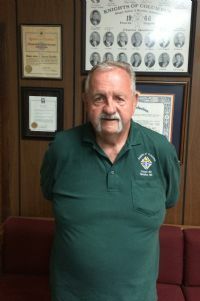 Whenever a volunteer is needed around our Catholic Community, you can bet that Brother Frank will be the first on hand to volunteer. Again, congratulations to Brother Frank Washington on his selection as our Knight of the Quarter for the Third Quarter. Our congratulations go out to Dr. Luis Borrell, PGK, on being selected as our Co-Knight of the Month along with PJ Carter, PGK. Doc is very active in our Catholic Community at both St. Patrick and the Hispanic Community at St. Joseph Church. He helps with the Spanish Mass and even gives the homily in Spanish. 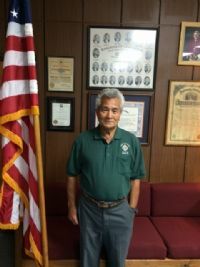 He is a longtime member of our community and for many reasons too numerous to mention in this short write up. Doc is also a regular attendee at the weekly Hour of Adoration at St. Patrick. Congratulations to PJ on being selected as our Co-Knight of the Month along with Dr. Luis Borrell, PGK. PJ works at Bingo every week and has done so for many years. He is also very active in our Catholic Community. 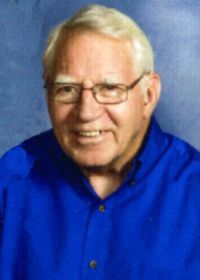 He was the coordinator of our Readers, Eucharistic Ministers and Altar Server schedules for quite a while. If there is a function going on in our Council, you can bet your bottom dollar that PJ will be there helping out anyone who asks for help. Fr. Matthew has supported our council from day one of his arrival at the Catholic Community of Meridian. 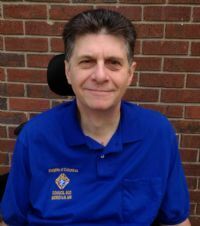 He is now heading to a new assignment at the Monastery in Culman, Alabama. We wish him well in his new role and hope to see him here at sometime in the future. Our prayers go with you Fr. Matthew. And please keep us in your prayers. We need all that we can get. 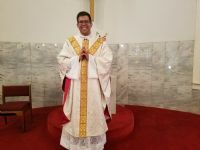 Congratulations to our newest Priest in the Jackson Diocese, Fr. Nick Adam on being chosen as our Knight of the Month for the month of May. Fr. Nick is a Brother Knight in Council 802 and we are so very proud of him for heeding God's call to the Priesthood. We all know that God makes good decisions, but this is one of His best. Fr. Nick, our prayers go with you as you begin this most important phase in your life. Recently, Larry has taken on the task as our Community Chairman and has done a remarkable job with it. He was in charge of the John J. Burns Award and everything went off without a hitch. Congratulations to Brother Richard Norman on being selected as our Knight of the Month for the March. 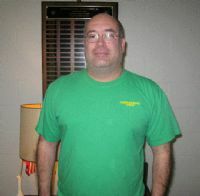 Rick is our Financial Secretary and has been for several years. 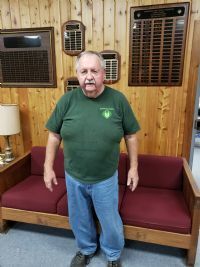 Besides handling this demanding job on a daily basis, he also works at the front desk of our Bingo program on Wednesday nights selling bingo sheets to our customers. Again, congratulations Rick on a job well done. You are a valuable member of our council. 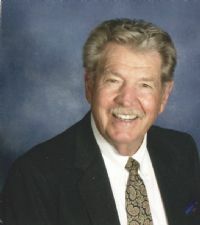 Ed has dedicated his time to our council in many ways over the years, but the one thing he did a long time ago, when our Warden, Dr. Richard Fleming, died was to agree, along with John Bennett to take over running our bar and kitchen facilities. However, more recently he was instrumental in ramrodding our restroom facilities upgrade to meet the American Disabilities Act. If you have not been to any functions at the Hall to see the difference this has made, then, you owe it to yourself to come have a look see. The facilities are equal to or better than any Five Star Hotel in the country. So, our congratulations go out to Ed on being selected as our Knight of the Month for the Month of January. 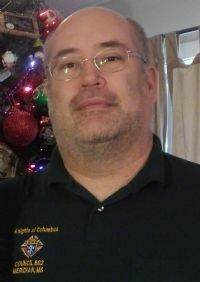 Our congratulations go out to Bob Leo for being selected as our Knight of the Month for the Month of December. 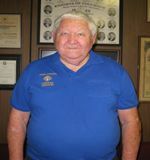 Bob is a Past Grand Knight and has been serving as our Bingo Chairman for many years. Thanks to his service, our council is able to carry on with our charitable works, which is the essence of what our council stands for. 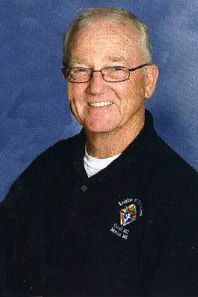 Joe Semmes has been a God Send to our School and in many cases to our council. On the night we had our Flag Retirement Ceremony, Joe made a special trip to the KC Hall to replace some lights at our Flagpole. Over the years he has done many things for our council and for our school, sometimes gratis. 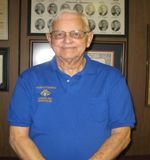 In years past, Joe served as our Grand Knight for a three year span. Hopefully, when/if he finally retires we can get him active again. 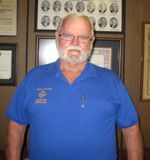 Our congratulations are, once again, extended to Brother Knight, Darrell Hover, on being selected as our Knight of the Month for the month of October. Darrell is our Culture of Life Chairman and is extremely proactive in the National Problem of Abortion. He coordinates the annual Prayer Vigil in Jackson for our council. Congratulations to Chad Lint on being selected as our Knight of the Month for August. 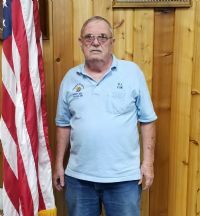 Since joining our council, Chad has been very active with a multitude of things in our council, but especially with our Bingo Program on Wednesday evenings. 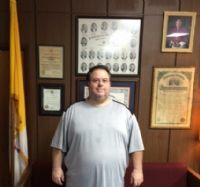 Congratulations to Sal on being selected as our Knight of the Month for June. 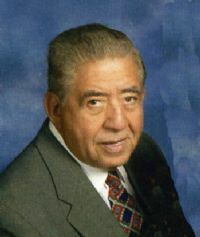 Since Sal joined our council he has been more than active, he has been a faithful and dependable member. 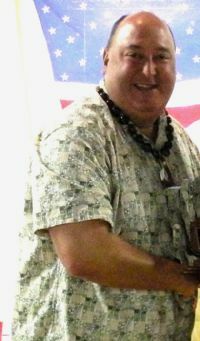 Sal has been our Church Director for the past few years. He works Bingo each and every Wednesday night. Congratulations Sal. You deserve this honor. Congratulations to Brother Nick Adam on being selected as our Knight of the Month for the month of February. 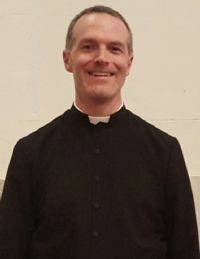 Nick, who will be ordained as a Deacon of our Diocese on the 17th of March at St Patrick Church has been an active member of our council whenever he was able to come back to St Patrick from the Seminary on his free time. All of us in Council 802 are very proud of Nick in his quest for Priesthood which should occur in 2018. Congratulations, Nick on your accomplishments. 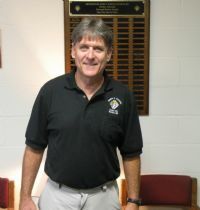 Our congratulations again go to Rick Norman on being selected as our Knight of the Month for September. Rick hit the ground running when he joined our council and has been around at most, if not all, of our functions. He also volunteered to work the front window at our Wednesday night Bingo. Congratulations to Brother Chad Lint on being chosen as our Knight of the Month for August. 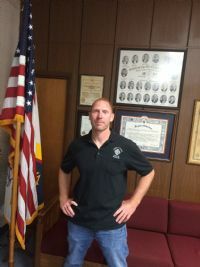 Chad is new to our council, but he is one of our active members. He works Bingo on Wednesday evenings, and is a sub for our Adoration on the second Thursday of each month. 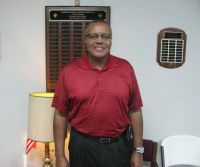 He will also receive his Formation Degree on Sunday, September 25th, in Starkville. 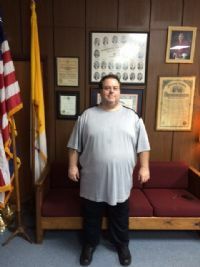 If you see Chad, congratulate him on being chosen as our Knight of the Month for August. Our Congratulations go out to Brother Frank Sharp for being chosen as our Knight of the Month for the month of July. Frank works diligently in our kitchen every Wednesday night at Bingo. Thanks, Frank for all you do. Congratulations to Noelle on being selected as our Knight of the Month for May. Noelle is a recently received catholic through the RCIA program at St Patrick Parish. He graduated from high school this year and is now headed off to be a member of the Marines. 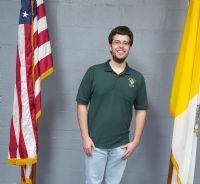 He joined the Council immediately after finishing RCIA and has been most helpful in different activities of Council 802. He has helped at Wednesday Night Bingo on many occasions. 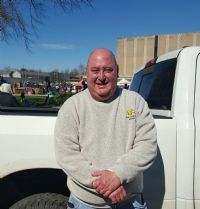 Congratulations to Dave Klutz on being selected to be our Knight of the Month for the month of March. 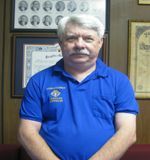 Dave is very active in council activities and serves as our Deputy Grand Knight/Youth Director/Program Chairman. When no one volunteered to take on the position as the Council Youth Chairman Dave took it upon himself to do just that. He refers to himself as the "Acting" Youth Chairman, but we all know that he is just too much involved in the youth of St Patrick/St Joseph churches, to allow them to be ignored by the our council. Congratulations, Dave on being selected as our Knight of the Month for March. Tau, as he is affectionately called, is one of Council 802's chief cook and bottle washer. Whenever we have a family potluck supper at the KC Hall, you can be sure that Tau had his hands in the preparation of the food, etc. However, he doesn't restrict himself just to the KC Hall. No, he is also quite present at the St Patrick Family Life Center on numerous occasions. In fact, he was instrumental in planning and preparing, with help, Fr Frank's Farewell Luncheon in the Family Life Center on Sunday, January 31st. All who came, and there were many, enjoyed the time to say goodbye to our Pastor of the last 11 years, Fr. Frank Cosgrove, whom we will sorely miss. So, without further ado, let us Congratulate Tau Iosia on being chosen as our Knight of the Month for the Month of January. 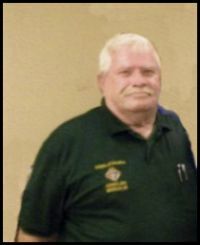 Congratulations to Bob on being chosen as our Knight of the Month for December. Bob is very active in many of our council functions, but none better than the Childrens' Christmas party and our annual visit to the Meridian Hospitals on Christmas Eve where he steps in as a quite outstanding Santa Claus. He also makes an appearance at our annual Easter Egg hunt as the Easter Bunny. Also, he is our Family Chairman and our Bingo Manager. Were it not for our BINGO program, we could perform one of our principles (Charity). He is active in many other functions including our State Family Director. When you see Bob at Mass (Usually 11 o'clock at St Patrick) or any where you might run into him, congratulate him on this honor. 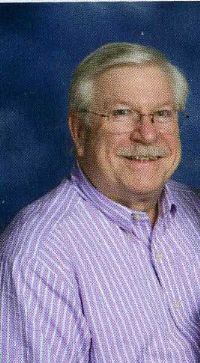 Our congratulations again go to Rick Norman on being selected as our Knight of the Month for October. Rick hit the ground running when he joined our council and has been around at most, if not all, of our functions. He also volunteered to work the front window at our Wednesday night Bingo. Congratulations to our September Knight of the Month, Brother George Walston! Brother George has been, and continues to be, a true cornerstone in our Council. He is extremely active in both, council and church. 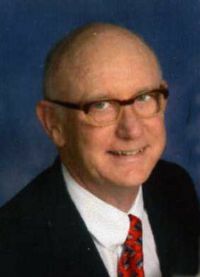 He has served as our Financial Secretary for many, many years and is a recognized subject matter expert and "go to man" at the state level regarding the duties and responsibilities of a FS. 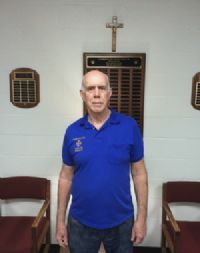 He dedicates time every week to our Catholic youth instructing in the Parish School of Religion, he routinely takes an active role in the weekend mass, he is very dedicated to Adoration of the Blessed Sacrament, is a regular in supporting our Bingo program and the list goes on and on! Congratulations again, very well deserved! Congratulations to Fr. Pat Smith on being selected as our Knight of the Month for August. Fr. 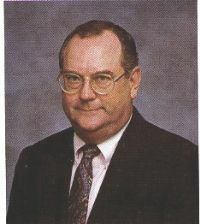 Pat has been a member of our council since 1978. He was a late bloomer to the priesthood, mainly because he made sure that his aging parents were taken care of before committing to become a priest. After their deaths, Fr. Pat took the vow of priesthood and has served our diocese for a number of years. He recently retired due to health problems. It was this problem that finally took his life on Saturday, August 29th. Congratulations to Ed Shamp on being chosen as our Knight of the Month for June. Ed agree to take over the responsibility of running our bar after the death of Richard Fleming. He has help, but he is there every Wednesday night, as regular as clockwork. Congratulations again to Ed on this prestigious honor. Our Congratulations go out to Brother Frank Sharp for being chosen as our Knight of the Month for the month of October. Frank works diligently in our kitchen every Wednesday night at Bingo.